Jack was an early "interventionist" who wanted the USA to enter the war on the allied side against Hitler. So he grew to be a big supporter of Roosevelt. Jack discovered that some loved and some hated FDR. He heard both views from his friends at the New York Athletic Club when he was considering going to Warm Springs. Some wanted Jack to drown the president if he had a chance to face him in the pool, others wanted him to give Roosevelt the ball and help him to score when they were playing water polo. Jack was discussed the early sense of how the war was progressing and mentions his brother Tom's active involvement in the Atlantic during the "neutrality patrols"
JJK: Well, the war was on in Europe for two years before I went overseas. It was September of 1939 that they invaded Poland. So, I was very much aware of the war. We were all aware of it. Because, the previous year in May and June of 1940s we had the Dunkirk experience, with the British and French had just been able to get hundreds of thousands of men back to England without any equipment. All their guns and all their armaments and so forth. Cars, Jeeps all had to be left behind. So we were aware of what was going on. JJK: As a matter-of-fact, my brother Tom, he was on a destroyer in the North Atlantic. And I remember saying to him one time, that I was “4F” but I was the first member of the family that had been chased by U-boats. 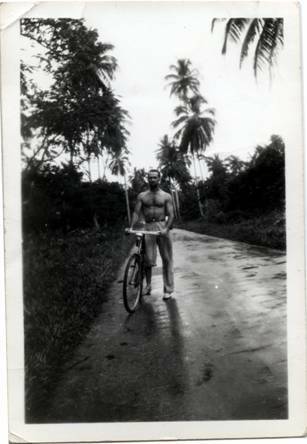 I had been out in the Caribbean about the 20th of December when the U-boats were knocking all of the ships off. In 1941, right after Pearl Harbor day. So, Tom started to laugh. He says listen, I hate to take away the honor from you, but we weren't playing potsi out on the neutrality patrol. Which started in 1940 I think. And the destroyers were out there and they were dropping depth bombs on the subs even in those days. The Attack on Pearl Harbor which brought the USA Officially into WW2 was a big surprise to most Americans. Jack’s interviews give a sense of what this was like for people already stationed overseas and the rumors that were ever present during this time. JJK: Well, I tell you, we were more interested in what was going on in Europe and Pearl Harbor came as a complete surprise. I remember, I had charge of the motor pool at Trinidad on the base for the engineers. And I was out on a trip that day, and it was a Sunday. I got back to the base that night at 8:00 and it was dark. Discipline was lax, before we left you know. And all of a sudden, I come in there and some guy with a bayonet stops me. He says let me see your ID Card. I said, what the hell do you mean your ID card? You know just ignored it. So, he says: let me see the ID card ! I saw well, he's got a rifle there must be something serious. So I showed and he said all right. So I went back into the barracks and I said to the guy, what's this crap about some guy wanting my ID card. He says, war with Japan. I said what! He said war with Japan. Japan bombed Pearl Harbor. So I went down to the radio shack. I didn't believe it. And then I heard of course. JJK: And you know how the rumors start. The first thing I know, the rumors going around that the Japanese are going to go from Hawaii, they are going to come through the Panama Canal, and then they're going to come another thousand miles and they are going to knock us off in Trinidad. (Chuckle).Oh, that's how they start. Rumors no matter where you go. 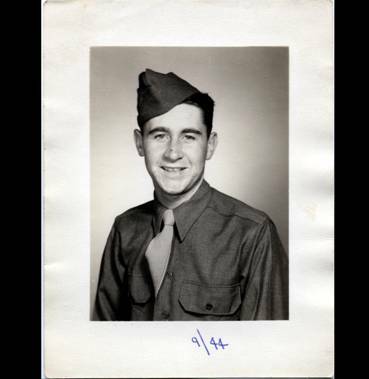 Figure 11 = 4k Sept 1944 George Keefe [Jack’s younger brother in Army Uniform Fort Dix N.J. He survived the war but died in a car accident a few years later. JJK: A little thing I always noticed when I was overseas was if you are in a place for three or four days all of a sudden you are a veteran, you know everything about it. You would pull into a camp and would say to the guys there what about this? And they would say this, this, this, boom, boom, boom, boom. And then you would say how long have you been here? [And they would say] ' I have been here about a week" (chuckle). It was kind of amazing. They knew a little and you wanted somebody to give you a little faith in what you were doing. Because they knew what was going on.